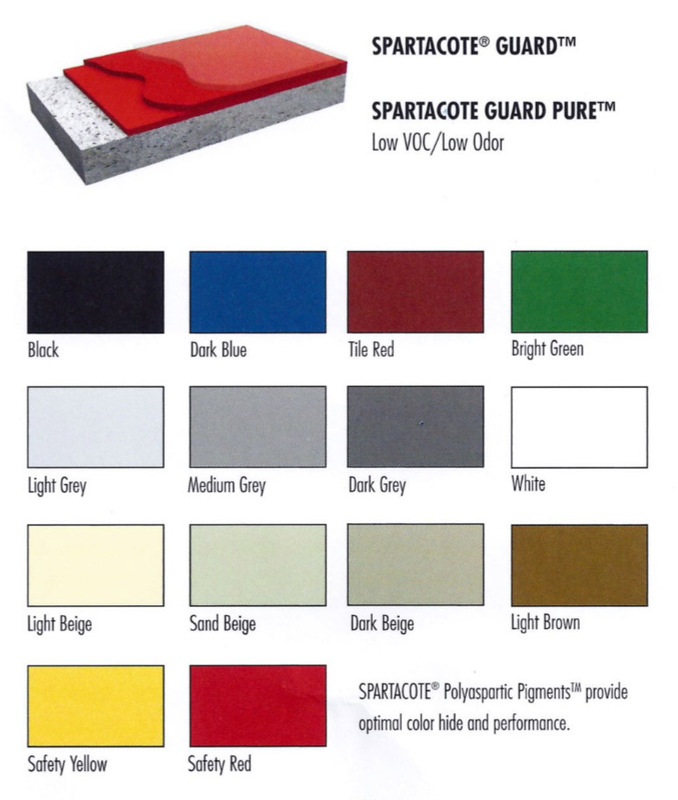 SPARTACOTE® coating systems offers a full line of patented DUAL-CURE® polyaspartic coatings for concrete. 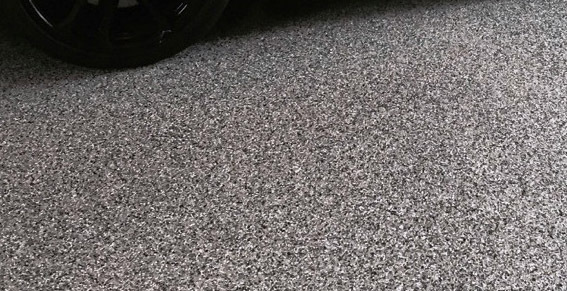 Our high performance commercial and industrial flooring systems provide owners with superb concrete protection and longevity in even the most demanded heavy-traffic situations. 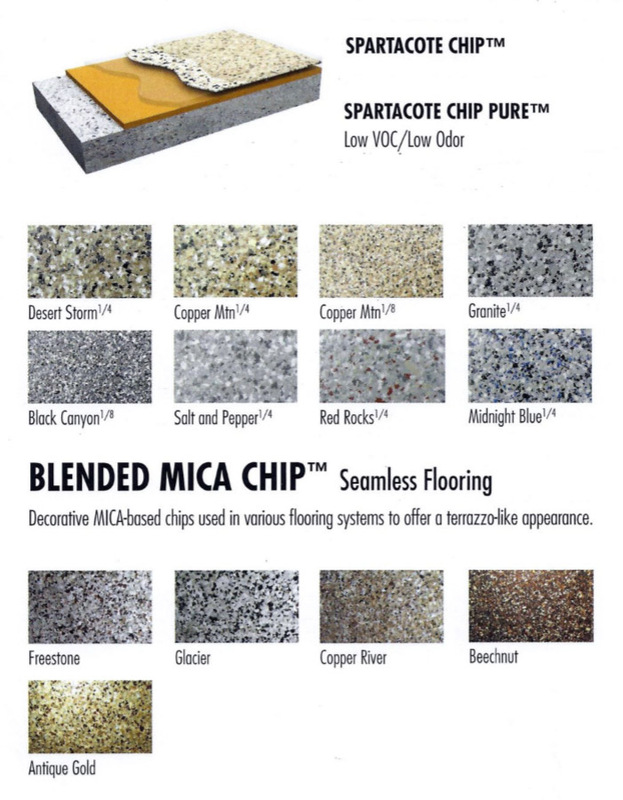 Specifiers and designers may select from a multitude of colors, blends and finishes to create customized resinous flooring solutions to compliment any environment. Superior resistance to punishing industrial traffic, Skydrol® and other harsh chemicals. Popular where cleanliness is a must. A logical choice for demanding enviroments such as aviation hangers, manufacturing and shop floors. 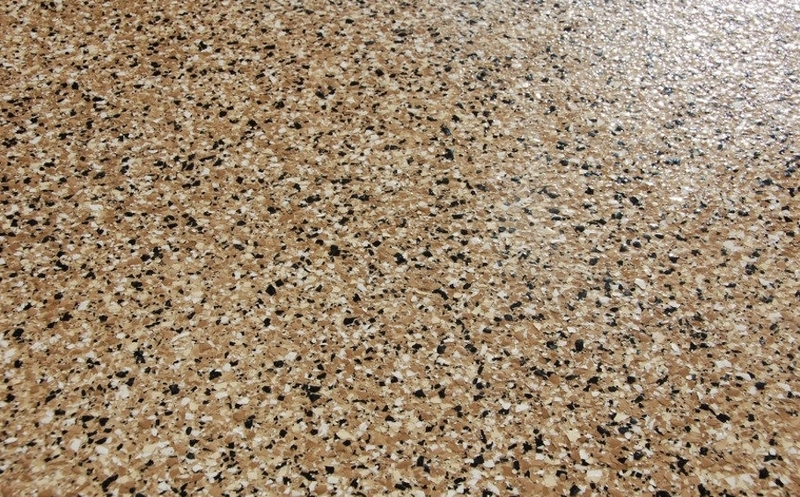 A unique terrazzo-like finish that provides owners with reduced maintenance and long-term durability. Popular in retail locations, schools and high-end residental garages. 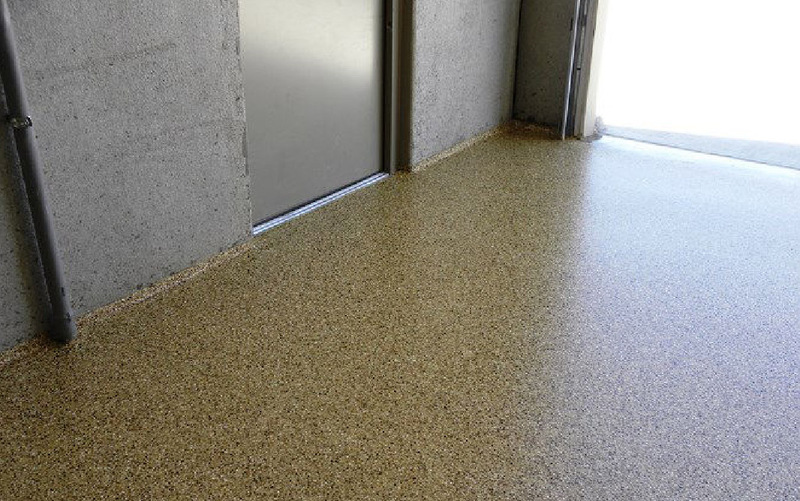 Revive any concrete surface with our Specialty Polyaspartic System. We will transform your existing concrete into a resistant, long lasting, protected floor! Superb choice for old or new! Worn, cracked, stained, painted, deteriorated, or ordinary concrete can completely transformed into a beautiful finish floor with our superior concrete coating. Specialized, professionally trained installers use only the most durable and best engineered products in the world! With the fastest cure time, plus it is 4x’s stronger than epoxy for excellent durability, ready in 1 day! Endless design possibilities with each project. You’ll be amazed at the results! Fastest cure time, returning to service in hours! Easy Clean, resist stains and abrasions. Commercial Use, will not wear. Enhances the concrete to beautiful, enjoyable space. All concrete is professionally ground/resurfaced for proper adhesion. All cracks, seams are filled flush and leveled to provide a smooth finish. Color coat high performance Polyaspartic coating is applied. Clients desired color of embedded vinyl fleck is broadcasted adding texture. Last the Polyaspartic clear sheen seals the surface, resulting in a beautiful, functional, finished floor. Modern techniques have quickly advanced within the concrete coating industry and now offering the most sophisticated unique materials on the market, mastering the art and science of concrete coating. Today’s innovative products of floor covering come with a wide array of aesthetically pleasing colors to enhance any space! Providing impeccable strength and beauty!